Thread was launched at Microsoft’s campus in Charlotte on September 18th and has received tremendous reviews from both paralegals and lawyers. It has been described as disruptive, refreshing, easy to use and at $39 per user per month offers lawyers a very affordable solution to manage their firms’ business and clients. 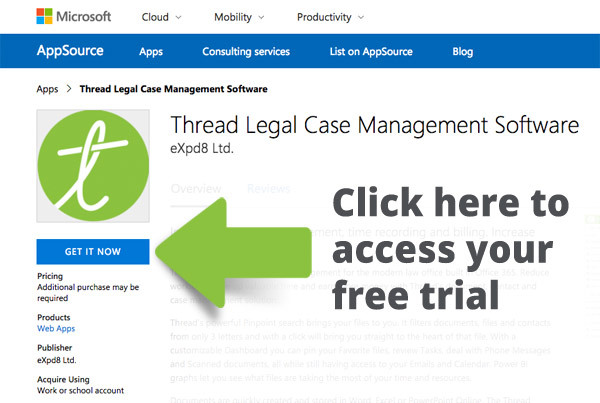 Thread is a brand-new cloud-based legal case management software, built in collaboration with Microsoft which enables legal practices to free up valuable time, be more productive, increase profitability and truly digitally transform their firms.